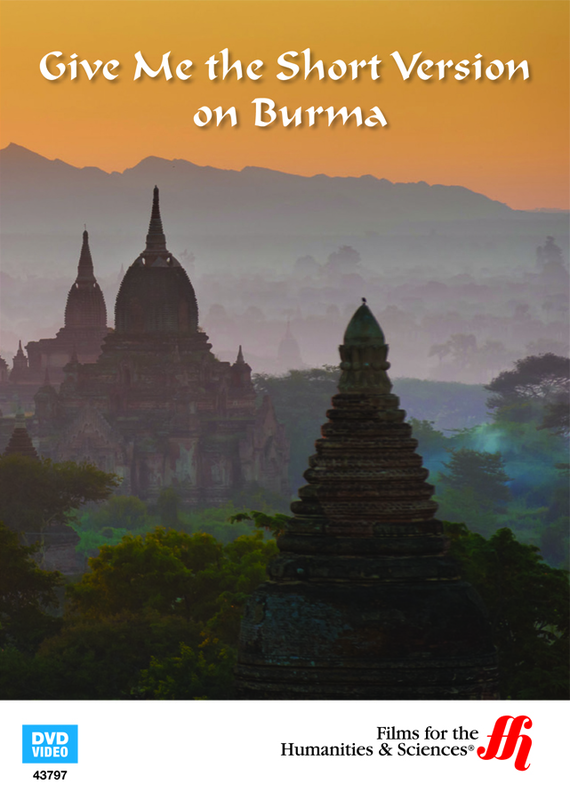 If you’ve ever wondered about the complex atmosphere of Burma’s dichotomy of rich, natural resources and economic inequality after their difficult past of totalitarian military control, you’ll want to educate yourself with this informational DVD. Watch as experts, activists and scholars offer commentary on Burma, the nation previously known as Myanmar. Burma, having suffered under the leadership of a military junta which trampled opposition and dissension, underwent some of the worst human rights violations. Despite this notorious record, the rich natural resources of Burma have created a complex economic situation. The contemporary political climate remains vicious, threatening hope for social reforms. Meanwhile, the management of the rich natural resources continues to be unclear, solidifying the nation's uncertain future. Can the "Republic of the Union of Myanmar" resolve its dark and brutal history, and develop into the promising resource wealthy country it could?